I am a Professor of Biostatistics working in the Biostatistics Research Group in the Department of Health Sciences at the University of Leicester, UK. I also work part-time in the Biostatistics Group in the Department of Medical Epidemiology and Biostatistics, Karolinska Institutet, Stockholm, Sweden. I have a variety of interests, mainly in the area of survival analysis in epidemiology. Much of my work focuses on the analysis from data from national cancer registries. I particularly enjoy writing software to enable transferral of new methods into practice. I enjoy teaching and have developed some interactive graphs to help with communication. Related to this we have developed interative graphs to display various cancer survival measures, called InterPret. 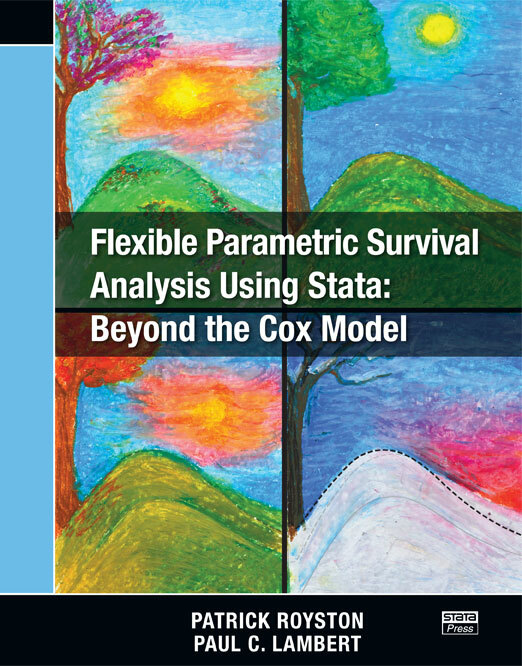 I have written a book with Patrick Royston titled Flexible parametric survival models using Stata: Beyond the Cox model. In the software section of my webpage you will find some tutorials on using these models. Below are some recent/upcoming talks. My main teaching is on the MSc Medical Statisics at the University of Leicester. I was a student on this course way back in $1991 / 1992$. Below are some upcoming course. 24-26 January 2019 Parametric Competing Risks and Multistate models, Swiss Epidemiology Winter School, Wengen, Switzerland. ?? June 2019. Paul Dickman and I will teach a 5-day course on statistical methods for population-based cancer survival analysis in Veneto Italy. Further details available here. I have developed a number of Stata commands. I have added some examples of using this code and intend to add to these over time. standsurv - standardized survival curves and more after fitting various types of survival models. stcrprep - data-preparation command to fit a range of competing risks models. I have also worked with Michael Crowther on various bits of software. Michael is a much better programmer than me!